Have you thought of incorporating twitter polls in your marketing strategy yet? If not, you definitely are missing a great opportunity to revolutionalize your twitter marketing campaign. Polls have an inbuilt compulsion that make viewers want to participate by voting. You only need to be creative enough to tap into this new unexploited area for increasing engagement. Currently, engagements on twitter polls seem to be getting better by the day. While some of the euphoria may soon diminish when the feature looses the shine of being trendy, social media marketing experts think that it may remain one of the best engaging options on twitter. Well, that future talk is enough for the day, check out some of the twitter poll tricks you can use while you sit back and watch your engagement level grow. A keen observer will tell you that twitter is users engage more on trending issues compared to other type of tweets. This can include anything from politics sports to business news if you are driving the campaign for a brand. Now, back to our marketing campaign. How can you wrap this around your twitter poll in a bid to increase engagement? For instance, if your energy drink company is holding an event, this news can be conveyed in form of a twitter poll. Formulate a question with four predetermined choices then let your followers click their own choices. Similarly, a popular match that will be played in a day’s time or so can be a good topic to leverage on. But ensure that the debut will eventually drive back to your brand so that it doesn’t deviate so much to an extent of losing the intended purpose. The nature of a poll is to settle debates. So, you can create twitter polls around around fun and engaging topics that will elicit your followers curiosity to chip in. it doesn’t have to revolve around your brand be innovative and diversify into topics that will make your brand stand out. Don’t forget to design you’re your twitter polls around your target audience as well. For instance, if you’re targeting young people. Engage in topics that run parallel with them. This will ensure that engagement levels are at the top. Try also using emojis as a way of communicating your twitter poll questions. This will display your brand as a stand out. Remember that twitter is more of news and trending issues social site. So, with this in mind, you can let your creativity flow limitlessly but within the constraints of driving engagement to your brand. While twitter polls are on the trend currently, a wise marketer would leverage on them while the shine last. Historically, firms that grab trending marketing moves first are known to improve their overall turn out within a short time. 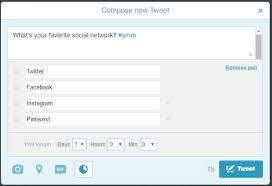 Twitter polls avails this opportunities especially to small and mid-level business. Marketers need only to be innovative enough in the use of twitter polls for their marketing campaign. 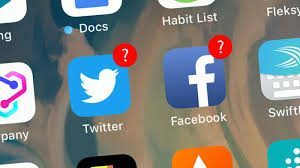 Among the other social media platforms nowadays, Twitter is the best choice when it comes to the most appropriate place where you could turn for audience’s viewpoints regarding anything that’s trending or anything you would like to know more about. Undoubtedly, it has become a lot easier to collect thoughts and conjectures from your followers on Twitter. In addition to this, Twitter has become even more renowned through Twitter polls. Here, everyone can create queries that they wish to know and followers can share their thoughts about the poll created. With just a few taps, users can weigh in on all subjects and stories they love and care about. It is interesting to know that if you desire to learn more about public’s viewpoints on anything such as what breed of dog is the best, who will win tonight’s soccer or basketball match, election issues and voting and other issues that people love to engage in; there is really no better place where you can obtain answers other than Twitter. More than that, the reason why Twitter polls are great way to interact with a wider audience is that this social media platform has extensive number of audience and it offers you the opportunity to precisely understand what people think regarding a certain issue or post. Can Twitter polls benefit both the poll creator and the participants? The advantage that poll creators can enjoy when creating polls is the new approach to reach out to a massive audience on Twitter and this is one great way to get ideas from the viewpoints of your followers; if you’re a business owner – this is an effective means to know what product or service to offer and how to improve your current brand. Meanwhile, for participants- this is a very effortless means to voice out your thoughts and other concerns. Nothing makes you feel engrossed when you can freely utter what it is that you’re presently thinking about. As you can see, it is advantageous for both parties. Are you having second thoughts on something? Then, why not ask what your friends think about it? Through polls, you can clear out any doubts and this can even help you come up with well-informed decision- be it personally or for business purposes.This is certified free and works on both desktop and mobile devices. Keep in mind that all polls are undisclosed which means that nobody not even the poll creator can see what voters chose or you can’t even view the identity of those who voted. Indeed, polls show the sum number of votes as well as the percentage of users who voted for each option; this is indicated in bar graphs. All polls are public which means everyone can have the chance to view the real-time information of a poll through voting. As a poll creator, you aren’t allowed to vote on the poll you made. Note that every Twitter user could only vote once in a poll. A notification will alert you right after the voting ended so you can view the final outcome. Digital marketing is where the world is at. In the event that you are a business owner, you know very well the importance of marketing to the success of any business. If you are operating a business in today’s world, then you know the important role that digital marketing is playing today. It is what is setting businesses apart from the rest. In the world today, if you do not have an online presence, you are literally alienated from the rest. This can actually end up pushing you out of the market. The internet today has become the place where all participants in the market meet. There are quite a number of features that people take advantage of today in regard to digital marketing and one such feature is the automatic likes. Automatic likes are basically likes that are generated for your activity online. The likes are usually generated from a system.They do not come naturally; this simply means that you do not wait for the internet users to see your content and like it. You simply have likes generated for each and every post that you put up.There are certain rules and regulations that need to be adhered to when it comes to these likes. They are by and large unwritten rules but they play a very fundamental role in the success of your digital marketing campaign. Conducting of research is one of the most integral unwritten rules. A large number of peoplenever get to enjoy thebenefits of automatic likes even after they invest their money in them because they ignore theresearch component. You might be wondering how come research is such a very important role. At the end of the day, you need to know and understand that where money is involved, you cannot go in blind. This is the reason as to why you need to conduct research. You will need to pay the service provider to be able to get the automatic likes. Other than that, the reason why you are getting these likes is to push your digital marketingcampaign so as to make money for your business. It is imperative that everything is done right. It is important that you conduct research on the service provider that you will be working with. You need to make sure that they are a true professional with a good reputation in the market; to add onto that, you need to confirm that they are actually running a legitimate business. This is the only way you can be sure that the money you will pay for the likes will actually bring you what you pay for. It is also important to conduct research on how the market is responding to you and what your target audience looks like. It is important to understand the behavior of your target audience. Thisis the only way you can ensure that the generation of automatic likes on your page builds your credibility and does not destroy it. You do not want the generation to automatically appear fake. It is thus important for you to conduct research to get information on the best frequency and in what numbers the automatic likes should be generated. Automatic likes have really become popular in the recent past. Their popularity has particularly grown with the advancements in technologyand the growing of digital marketing. We are currently living in a world where the traditional marketing techniques have literally been abandoned and people are choosing to market digitally. It goes without saying that the benefits that come with digital marketing area much more compared to t6hose that came with the traditional marketing techniques.There are quite a number of features that are associated with digital marketing that have been known to enhance the success of social media marketing campaigns. One such feature is the automatic likes. Digital marketers are increasingly understanding the fact that it does not matter how good you think your social media campaign is; without visibility it will be a great flop. It is very important for you to get that visibility if you really want that campaign to take your business to the next level. This is the reason why features such as they automatic likes are growing in popularity with each passing day; they have been known to be extremely effective at giving campaigns that vi9bsility that they are looking for on social media. It does not take a genius to figure it all out. 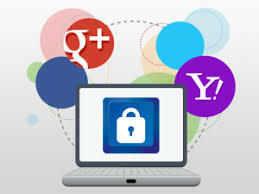 Visibility basically makes sure that your content is being seen and recognized on the social media platforms. It then goes without saying that with the visibility you have the guarantee that your word is getting out there to9 the market. There is however one misconception that people have developed and they continue to live by; many people believe that automatic likes will guarantee automatic success for the social media campaign. This is a lie. There is no denying that the likes will help a great deal to boost your campaign but the success of the campaign is not fully anchored on them. It is obvious that a successful social media campaign contributes to the success of your business. There is therefore a link between the automatic likes and the success of your business. For your business to actually succeed from the use of automatic likes there is one very fundamental fact that you need to understand. The likes will get you the visibility and get you the attention of the audience on the social media platforms but it will be your responsibility to make sure that you do retain the attention. When people are drawn to your page by the likes, they come expecting a lot form you. For you to retain them, you have to meet their expectations. You will have to ensure that you arecontinuously and consistently giving them good and quality content. The key to maintaining and enjoying a strong online presence is not just being there and active; you also have to ensure that you are giving the audience something worth paying attention to. The only way you can ensure that the automatic likes give your business the success that you want for it is by making sure that you couple them up with good, quality content consistently.